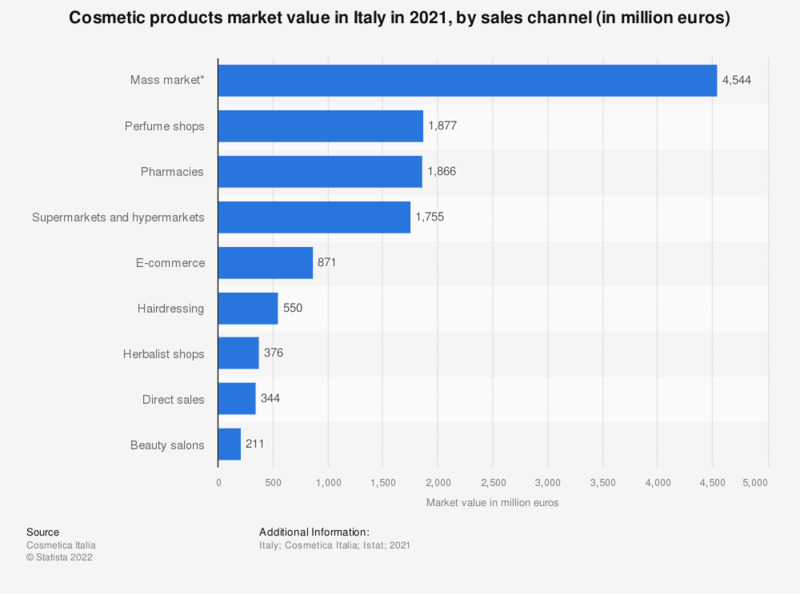 This statistic shows the value of the cosmetic products market in Italy in 2018, split by channel. As of 2018, the majority of cosmetic sales value was generated through perfume shops, at approximately two billion euros. This was followed closely by sales in pharmacies which was worth 1,8 billion euros.